« Will Universal’s New Theme Park Open In 2021 To Compete With WDW’s 50th Anniversary? We love abandoned and extinct theme parks here at Theme Park University. Over the years we have covered dozens of attractions and theme parks that for various reasons couldn’t survive. One park that we have never discussed is SeaWorld Ohio. While we won’t go too far into the history of the park in this post, a YouTube urban explorer got a chance to check out what the park looks like today. Before we Iink to the video, a few things to keep in mind as you watch. The vlogger (known as RnK All Day) often refers to SeaWorld Ohio in Cleveland with very little mention of the other owners: Six Flags and Cedar Fair. It is mentioned or alluded to several times that a big reason why the park closed was they didn’t care for animals in captivity in the park. While this may have been true for some guests, the odds of it leading to the park’s final demise are slim. 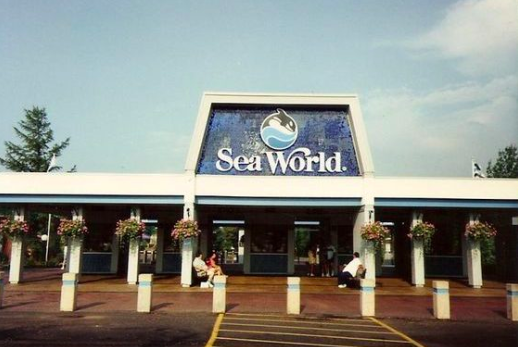 In reality, SeaWorld Ohio opened in 1970 in Cleveland and was run under the SeaWorld/Busch brand until 2001 when Six Flags bought them out and branded it to their chain. From 2001 – 2003 Six Flags World of Adventure would be the new name of the park until Cedar Fair then bought the land. Six Flags brought in some of their own dolphins and killer whales, but it was drastically scaled back from when SeaWorld owned it. Contrast that when Cedar Fair owned the property. They demolished many of the animal exhibits in 2005. Keep in mind, Blackfish didn’t debut until 2013. Yes, you can make an argument that the public never cared for seeing animals in captivity ever, but you can certainly pinpoint the decline in attendance for these park after the movie debuted. In any case, a walk around an abandoned theme park is always a fascinating one and this particular vlogger did a pretty good job splicing various SeaWorld Ohio commercials and home video footage of the park along the way. Enjoy! This entry was posted in Extinct Attractions and tagged Extinct Attractions, Geauga Lake and Wildwater Kingdom, Sea World Ohio, Six Flags Worlds of Adventure. Bookmark the permalink. Trackbacks are closed, but you can post a comment.